Ever since Instagram launched its Snapchat-like Stories feature in 2016, the Facebook-owned company hasn’t rested on its laurels. Regular updates to the photo-sharing app keep making it more enthralling. No wonder the Stories feature boasts of more than 400 million daily activities users (DAU). 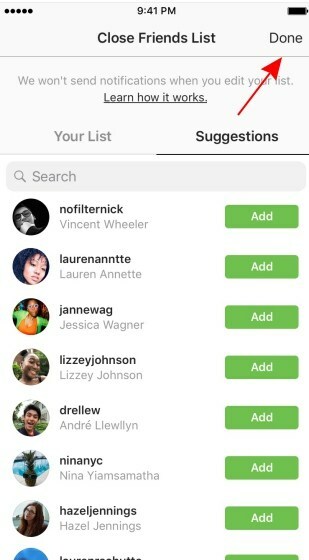 And recently, the social media giant started rolling out the new feature called “Close Friends List”. The Close Friends List aims to allow you to share your stories with a limited group of people. Instead of sharing your cool moments with all your followers, only the friends in your Close Friends List will get to see updates on your Stories. This is very handy when you want to share crazy stuff that isn’t meant for the general public but only your clique. And just like stories shared with the public, stories shared with close friends also have a validity period of 24 hours. So, you’re probably wondering how you’ll create the Close Friends’ list as well as how you’ll share the stories with them alone. Well, we’ve gotten to the section of this article where I’ll be showing you how to go about all that. 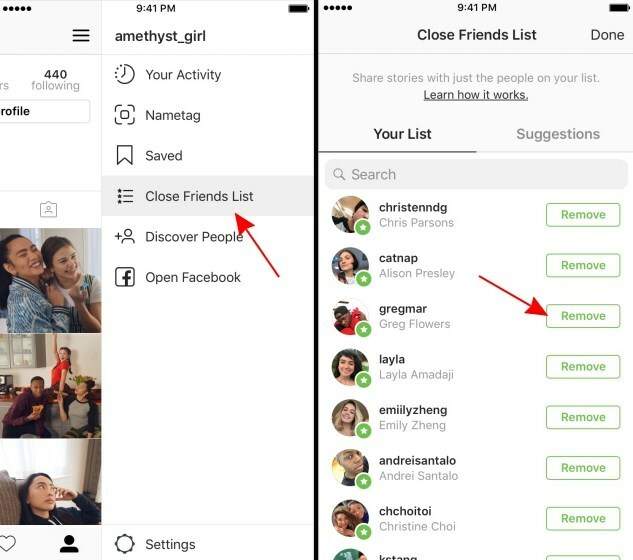 Before you can send stories to close friends, you’ll need to form the close friend’s list. To do all these, you’ll need to be on the updated version of the Instagram app. Instagram has started pushing out the update to its apps on Android’s Playstore and Apple’s App Store. So, if you’re on Android or iOS, you can check your respective stores for the latest version. Launch the Instagram app & tap on your profile icon. From the profile icon options, locate the hamburger menu. The hamburger menu (shown as three horizontal lines placed on top of one another) is positioned at the app’s top right corner. Once you click on the hamburger icon, you’ll find the “Close Friends List” as the fourth option. After selecting the “Close Friends List”, you can now add as many friends as you like to the list. To add them, tap the “Add” icon in front of the username. Currently, there’s no limit to the number of friends you can add to this list. Also, you can remove those you accidentally added in this same manner. Tap “Done” at the top right corner when you’ve chosen your close friends completely. Tap on “Your Story” at the top left corner of the home feed. 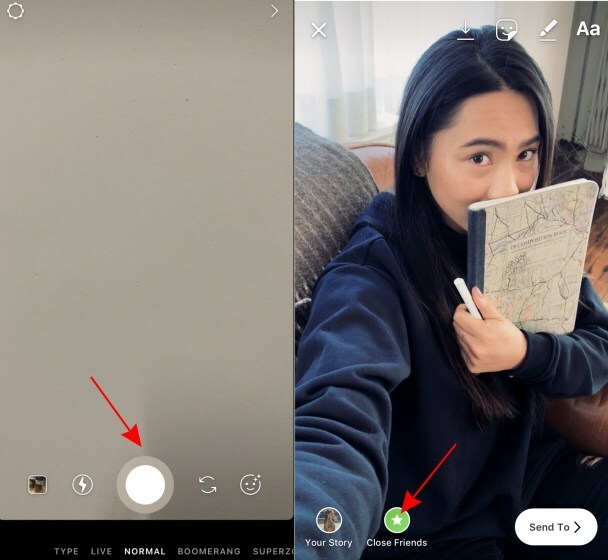 Capture or select the media you want to share as stories. There and then, you have sent the stories to only your close friends. 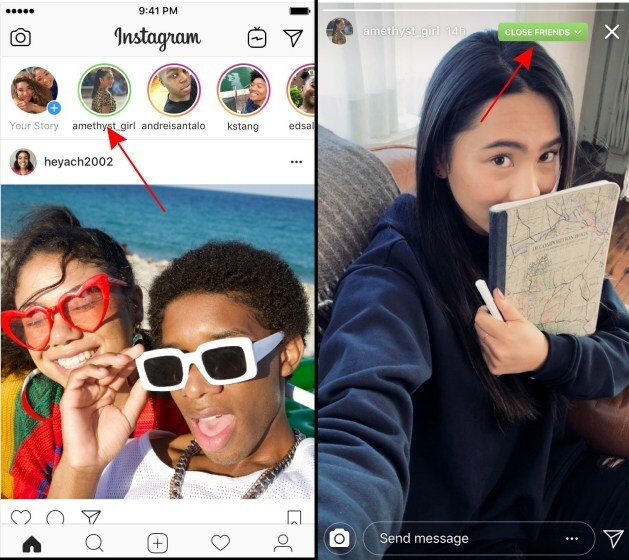 Where stories appear, your close buddies will see a green circle around the stories. They can view these special stories just like every other stories.